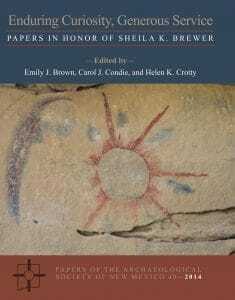 Enduring Curiosity, Generous Service: Papers in Honor of Sheila K. Brewer was edited by Emily J. Brown, Carol J. Condie, and Helen K. Crotty, Papers of The Archaeological Society of New Mexico, No. 40, 2014. This volume consists of papers on work from various locations including White Shell Water Place, Heaton Canyon, El Malpais National Conservation Area and El Malpais National Monument, the Mesilla Valley, the Dinétah, Chaco Canyon, Malagón Pueblo, Southeastern Colorado, and the general Southwest and New Mexico. 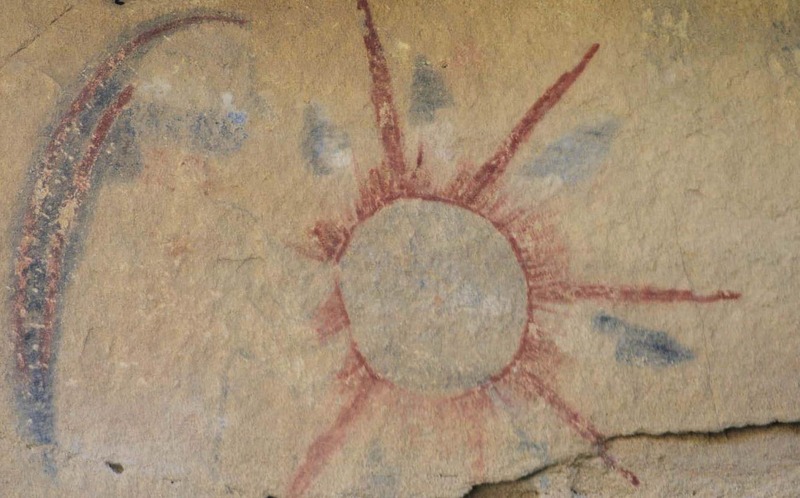 Topics range from a discussion on turquoise at White Shell Water Place, kiva bells, birding in Dinétah, pipe customs, looting at Pueblo Bonito, Penitentes and moradas, Edgar L. Hewett’s excavations at Chetro Ketl, archiving collections at the Maxwell Museum of Anthropology, and other topics.